To chart the black sites of the Unknown Fields city the studio commandeers an old US school bus and heads off on a reconnaissance trip through the borderlands of military outposts and the crater-pocked, fenced-off folkloric landscapes of the United States. The militarised landscapes which defend the city are hidden behind barbed wire, within inhospitable terrain or beneath the low resolution distortions of doctored satellite images and beyond their physical might, they are sites of psychological warfare, where rumour begins. 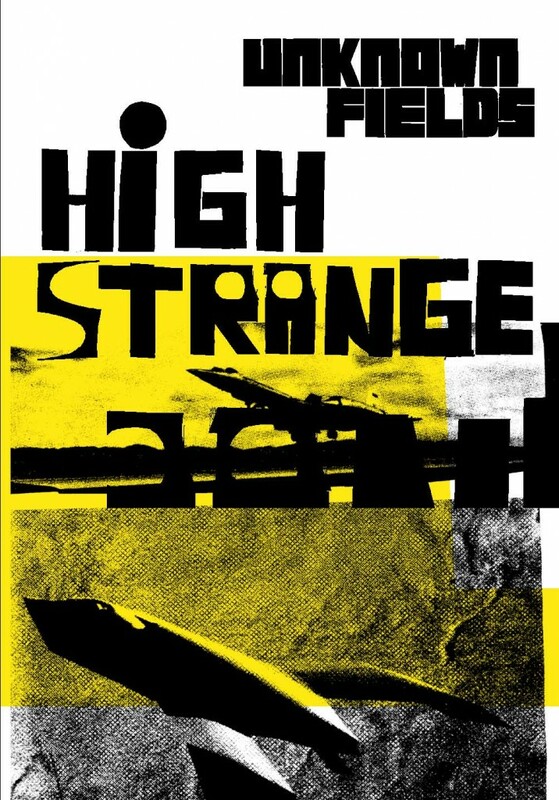 High Strange is a graphic novel developed together with embedded comic artist Kristian Donaldson in response to the material Unknown Fields collected along this journey. It is a portrait of a landscape as a factory of fictions. A form of weaponised folklore. A territory that can be only understood by examining the stories the world tells about it. Other books in the series includes stories developed from expeditions through Bolivia and the Atacama Desert, the Western Australian Outback, the South China Sea and Inner Mongolia, the gemfields of Madagascar and Far North Alaska.